An amendment to Mexico’s constitution in 2011 made access to potable water a basic human right, but Mexico’s major cities face unprecedented challenges in meeting future demands for drinking water. In this post we look at some of the water supply issues relating to Mexico City and Guadalajara. The plan creates a new metropolitan decision-making body, which will be empowered to choose which sources of water will be used, set timelines and commitments, and monitor all activities carried out under the plan. Conagua head David Korenfeld said that establishing a single water management body for the entire metropolitan zone in the Valley of Mexico means that, “there exists no possibility of misinterpretation in collaboration”. At present, several different water management bodies have responsibility for different parts of the Metropolitan Area, which extends well beyond the boundaries of the Federal District (México D.F.) into the neighboring State of México (Estado de México). Korenfeld argues that potable water prices must be related to the real costs of water production, system maintenance and service delivery, and that subsidies must be cut in order to achieve efficient, sustainable and equitable water management. According to Conagua data, water tariffs in the Valley of Mexico cover only 51% of the true costs of service provision.The new plan calls for the existing Cutzamala water system to be completely restructured, with an alternative channel created to bring water to the city. Ramón Aguirre Díaz, the director of the Mexico City Water System (SACM) which would come under the new decision-making body, says that one of the main challenges is to ensure adequate water supply to the municipality of Iztapalapa. Iztapalapa is the most populous and fastest growing of the city districts, with over 90% of its territory urbanized. 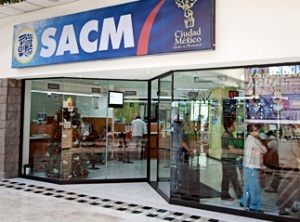 The SACM is suggesting a six-year, 150-million-dollar plan to resolve the situation, which would include waiving water charges for some areas where service has been poor and sporadic. Aguirre stressed the need for the government and society “to succeed in reducing water consumption and improve their habits”, saying that consumption needs to be cut by at least 30%. Coincidentally, it is in Iztapalapa where the findings from several deep wells allowed Mexico City engineers and geologists to announce earlier this year that a 40-million-dollar study conducted over 18 months had identified a major new aquifer under Mexico City. The city has an average elevation of 2240 meters above sea level; the new aquifer, which could become a major new source of potable water, is located 2000 meters beneath the surface. The initial announcement claimed that the aquifer could supply as much as 80,000 liters of water a second. Conagua officials cautioned that the potential usable flow of this aquifer still has to be confirmed and that it may take a further three years of research to establish the maximum sustainable yield. The aquifer might indeed relieve Mexico City’s physical water scarcity (volumes of supply) at some point in the future, but it would not necessarily overcome the economic water scarcity (cost of supply) faced by many of its residents. (For more about economic water scarcity, see How fast is the ground sinking in Mexico City and what can be done about it?). Frederick Mooser, arguably Mexico’s most distinguished geologist, was quoted in the press as saying that the indication of very large reserves of water below a depth of 1500 meters might well alleviate the continued need to extract water from aquifers closer to the surface, extraction that has caused so many problems for the city’s infrastructure. The major aquifer used currently lies at a depth of between 60 and 400 meters. There are about 630 wells in the Federal District alone; all are overexploited and have an average life expectancy of 30 years. Mooser also pointed out that the results from the wells used to locate the new aquifer show that the area has considerable potential for geothermal power generation in the future. According to an official from the city’s water utility, SIAPA, repairing ailing parts of the network (154 locations have been identified as “vulnerable”) could save most of the 4 million dollars a year currently being spent dealing with emergency repairs. However, the precise location of leaks is difficult to pinpoint because of a lack of metering equipment. 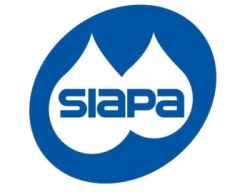 In addition to the 18% lost through leaks, SIAPA believes another 12% goes unaccounted for as a result of clandestine connections and incorrect billing. The biggest reason for leaks is the age of the system. Parts of the water supply networks in Mexico’s major cities are now over 70 years old. For example, in Guadalajara, more than 70% of the city’s 3458 km of main water supply lines is over 70 years old. Replacing the 2544 km of pipes older than 70 years would require investing around 300 million dollars, with a further 500 million dollars needed to upgrade the drainage system. SIAPA’s total investment in renewing and expanding systems is currently about 45 million dollars a year. The water firm is already said to be the most indebted decentralized public agency in the country, with debts of 240 million dollars. Where in Mexico do people still lack access to potable water? Several major Mexican companies among the “Global Challengers” Where does Mexico City get its water?